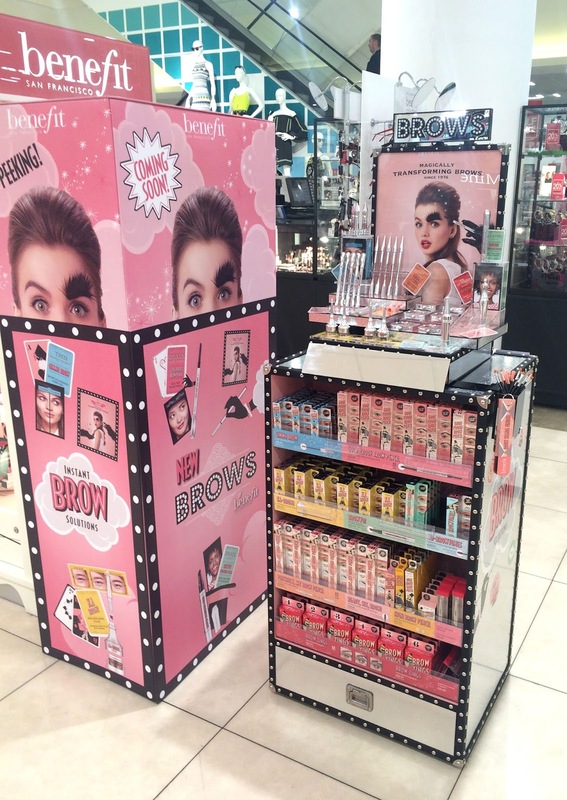 On Friday (24th June) Benefit Cosmetics launched their new Brow Collection featuring 9 brand new products, some old favourites and new shades to choose from: everyone will be able to find a product or two for their eyebrows now. Theres been a social media hype around the new products and Benefit have had flash sales on their website to purchase the products before launch day and with this months Elle magazine you get a Goof Proof eyebrow pencil free, so the chatter and excitement is high. 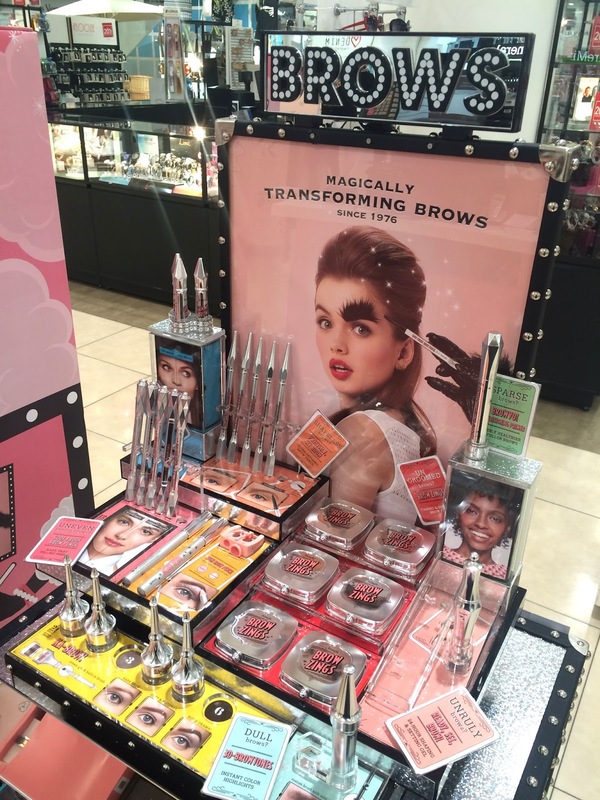 I have my eyebrows waxed every month at my local Benefit counter in Debenehams and had been told they was holding a VIP event showing customers the whole range of new products and giving customers a chance to try the new products. I decided to have my brow wax appointment before the event so my brows was ready for the new products to be applied, Kayleigh who does my brow wax every month did another awesome job waxing my brows, she makes every effort to do a good job each time and is very friendly. I also had my brows tinted this time; although my brows are dark already getting them tinted picks out the lighter hairs and makes my brows look fuller. After my brow wax it was time for the VIP event, me and my friend had booked in a couple of weeks ago so we had been talking about it and the products since then; we was very excited. 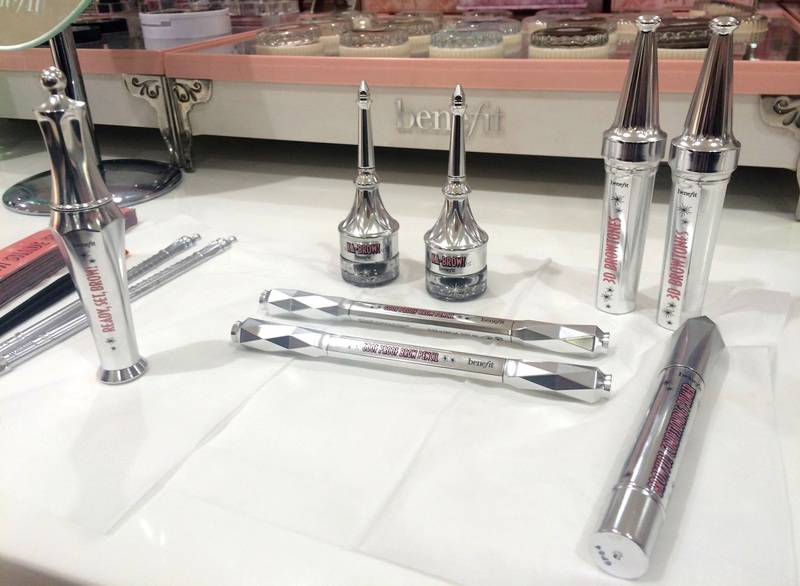 Rita another Benebabe was on the counter to show us the brow products which was displayed on an themed stand on the counter top and on its own featured stand next to the counter. The new design of the products has a fun and unique look to it but of course has the Benefit look also, I like that all the products look like a collection together. 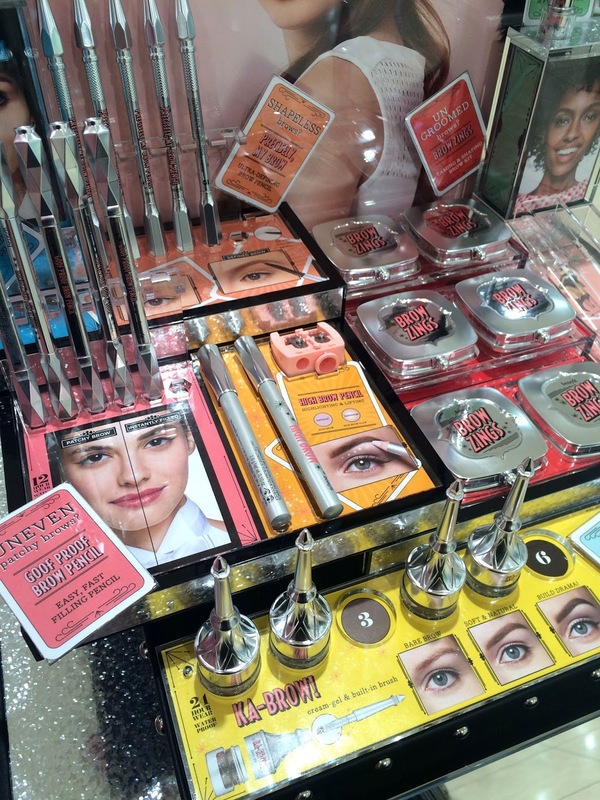 Older favourites have been re-designed with the matching packaging including; Gimme Brow, Brow-Zings, and High Brow. Rita asked us how we like our brows and what products do we prefer to use first, I answered with a pencil and/or my Gimme Brow for everyday (I'm a little lazy) and if I'm going out I use powders, pencil and of course my Gimme Brow as well. She then went on to tell us a bit about some of the new products and different finishes and textures the products will produce. Before trying some of the brow products out on my eyebrows she firstly matched up the shade from 1 (lightest) to 6 (darkest) using a nifty little card showing the colour around my eyebrow. My shade was around a 5-6 so we went with shade no5 so the products wouldn't make my brows look too dark. Secondly Rita mapped my brows, brow mapping is available at Benefit brow counters and basically shows you where your brows should start, arch and end. It's really easy to do using a brow pencil and either a ruler, another pencil or just something long enough to reach your brows from your nose. 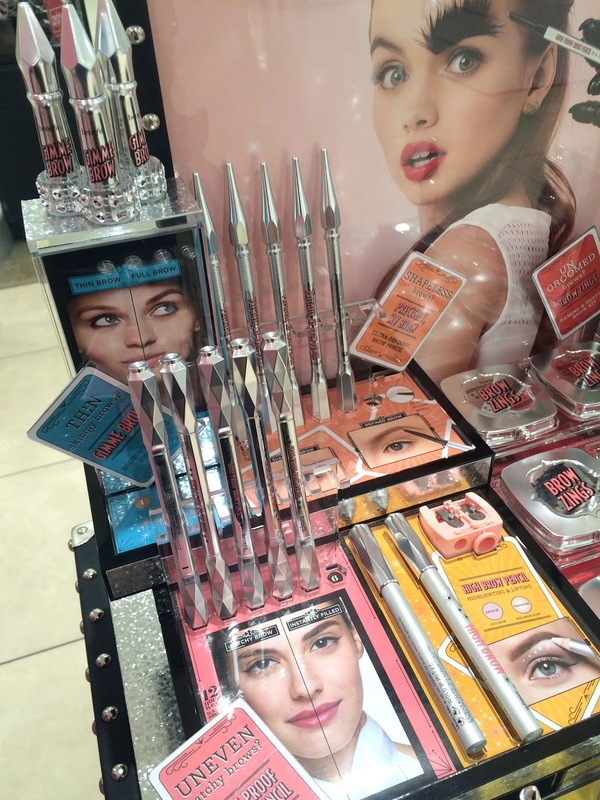 On the counter they had a little tool to use that matched the new brow packaging. To start, holding the tool straight up from the edge of your nose to your brows, this is where your brows should start, mark this point with the pencil. Secondly looking straight ahead move the top of the tool to the eye line keeping the end at the edge of your nose, mark this point as to where your arch should be then move the tool again to the corner of your eye again leaving the end at the side of your nose and mark this point this is where your brows should end. Now it just a case of filling in the brows from each mark. Before applying any colouring products, Rita showed me the 'BROWVO!' which is a conditioning eyebrow primer, this helps keep your brows in top condition and helps make your brows look fuller. It's a bit like putting conditioner on your hair but for your eyebrows. We tried the 'ka-BROW!' first which is a dip pot eyebrow cream-gel, which includes a built-in brush in the lid. Ka-BROW! felt lovely going on and didn't feel too thick on my brows, the gel left a sleek look with a full colour effect. I was very impressed with the result of only using one product on my brow, I didn't really need another product, colour can be built up with the gel or blended out across the brows for a less dramatic look. Next up was the 'ready, set BROW!' which a nifty clear brow gel that sets and shapes the brows and has 24 hours staying power!! This gel would be amazing for a night out or hot summer days when we are worried about sweating our brows off: which won't be a problem with ready, set, BROW! 's strong but flexible hold. This product was applied to the same brow as the ka-BROW so fixed the product and my brow in place. To compare and see the difference in textures and finishes Rita applied different products to my right brow, firstly she showed me the 'Goof Proof eyebrow pencil' which I had already tried with getting a deluxe mini free in this months Elle magazine but the full size product comes with a spoolie-brush on the end so its easy to blend the product throughout the brows. The shape of the pencil is great, it has a pointed end to draw hair strokes onto the brows and the flat end to fill in the brows, I particularly like this product because of the easy to use element and that its a twist up product with no sharpening needed. Over the top of the Goof Proof, Rita applied the '3D BROWtones eyebrow enhancer', this product adds stubble highlights to you eyebrows giving them dimension. The product has a small mascara style wand which is effortless to use, mess-proof and the product is water-proof and good for 12 hours wear. For me this was the least exciting product, not because I didn't like it but because I don't think I need it for my brows, if I was going for a softer look with my brows this product would be perfect but I don't think it is something I will use. I was shown another brow pencil next called 'Precisely, my brow pencil' which looks a lot like Goof Proof however the pencil is so much thinner. In my opinion this is the best product in the new range for filling in eyebrows, I tend to have little areas in my brows where the hair is thinner and sparse so this pencil is perfect for filling in those areas, you can literally draw on hair strokes with the ultra-defining tip of the pencil. There is a spoolie-brush at the end and it is a twist up product just like the Goof Proof pencil. Under my left brow, Rita applied the 'High Brow eyebrow highlighter' which is a product I have used in the past and loved, it leaves a pinkish highlight which works perfectly under my dark brows. 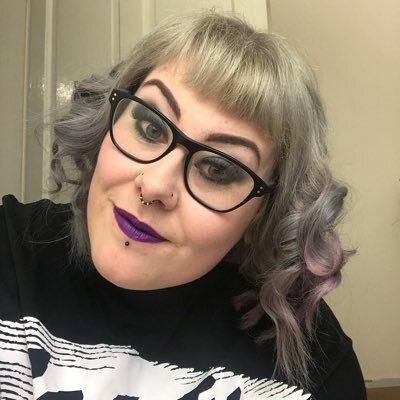 Under my right brow she applied the 'High Brow glow brow highlighter' which is a champagne-pink shade that's was a lot more stubble under my brows than the original high brow. I prefer the original high brow as I gained a better highlight on my skin tone with it. I was amazed by how good both my brows looked with the different products on each and decided to purchase Ka-BROW! and Precisely, my brow pencil in shade no5. I have since been using each product for different occasions, my Ka-BROW! for special outings and my Precisely for everyday filling in, along with my deluxe mini Goof Proof and my previously purchased Gimme Brow. Brows on fleek! The VIP event was fun and informative, Rita was great at explaining what the products was and how they worked, there was no pushy sales jargon and I felt very comfortable whilst at the counter. 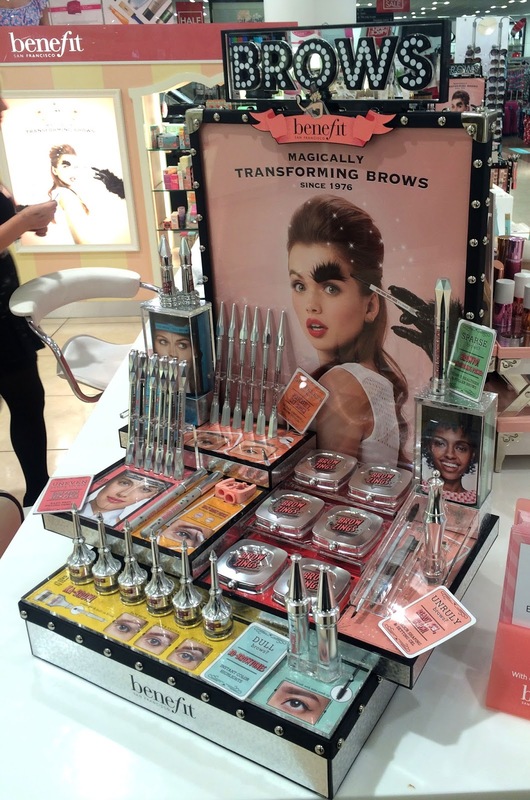 I'm glad I went and saw the new products at the event, I was able to pick what products was best for my brows and see what look they would achieve for me before buying. Thanks Benefit and Debenehams Wigan! !